On Wednesday 24 January at 09.00 (GMT), Emily Edwards led a ReSIG webinar entitled ‘Getting started with action research’. Here is the recording of the webinar for those unable to be there, and Emily's powerpoint slides (as pdf). ​Action research is a way of systematically exploring your teaching practice that involves planning, observing and reflecting on different actions (interventions) in order to better understand or improve teaching and learning in your specific context. It can be a very useful form of continuing professional development for English language teachers, but sometimes daunting to get started with. This webinar will help you to start thinking about how you might engage in action research yourself, or together with colleagues. First, I will introduce some different contexts for doing action research, and the processes and stages involved in conducting an action research project. I will then spend most of the webinar focusing on how to get started with action research, including how to choose a topic, refine a research question and plan the intervention(s). I will also discuss ways that you might observe the effects of your action(s), and how you could analyse and reflect on the data gathered in order to continue with another cycle of research. Emily Edwards works as a Lecturer and Research Project Manager at the University of New South Wales in Sydney, Australia. She recently completed her PhD in Education (TESOL), which explored the impact of a national action research program on the professional development and identities of in-service English language teachers in Australia. 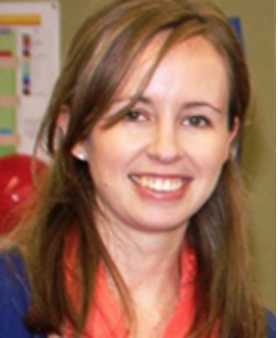 Before commencing her PhD, Emily worked as an ESL teacher and conducted action research together with her students to improve teaching materials. In 2015, she set up a localised annual action research program within the English language college where she was teaching. Her publications on action research that are freely accessible online include articles in ELT Research (Issue 31), ELT Journal (Volume 70, Issue 1), English Australia journal (Volume 29, Issue 1) and Cambridge Research Notes (Issue 53). The powerpoints and a recording of the webinar will be placed here as a resource soon after.